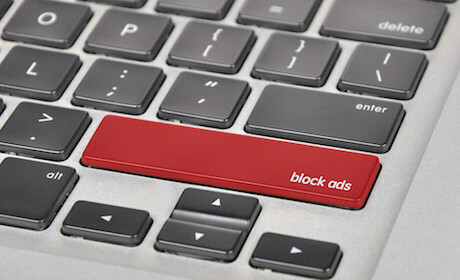 Can publishers ‘good-ad’ their way out of the ad-blocking phenomenon? Whitelisting, blocking the ad-blockers – these are some of the ways in which news outlets are hitting back in an attempt to protect what for many is a primary, or very important, revenue stream. Ad-blocking service PageFair estimates more than 200 million people worldwide use ad-blocking software and the risks are not getting any smaller, as this method is rapidly expanding to mobile consumption too. At the International News Media Association (INMA) World Congress in London today (24 May), Johnny Ryan, head of ecosystem at PageFair, said the current situation “is not the adpocalypse". “The portion of the web where people are blocking ads is getting bigger, but it's not taking over the whole of the web." Publishers are part of the problem, he added, as their need to monetise content online had led to “unrestrained advertising”. In turn, this has led to a decline in attention and trust from the audience, and an increased wariness of practices such as data snooping. Adverts obscuring content, privacy, bandwidth usage and slow loading time are some of the reasons why ad-blockers are used, which are prioritised differently according to the website they visit, but Ryan said it’s important for publishers to understand why people use such software: because they can. In March, The New York Times began blocking some of its readers who arrived to the site with an ad-blocker activated. Others, such as Bloomberg, are working on redesigning the way they serve ads on the web, while Slate’s approach is prompting users to subscribe for a premium membership to make up for the loss in revenue. “Trying to get a proportion of readers to switch off their ad-blocker makes sense, but eventually you get diminishing results,” said Ryan, explaining that for any 10 to 40 per cent of readers who do, the rest choose to abandon the site. Frederic Filloux, editor of Monday Note, said this is a question of leadership: news outlets agree advertising is an important component of their business model, but they give “too much leeway” to the sales part of their companies. “Ad-blocking has existed since 2006 but it has become a bigger problem only in the last three years or so. “We, as publishers, are part of the problem, but we are also part of the solution. “We don’t believe you can ‘good-ad’ your way out of this problem," he said, explaining that while improving the quality of the ads is going to be part of the solution, readers will need to understand the trade-off if they are not willing to pay for stories. North agreed that blocking the ad-blockers has more damaging results in the long run, citing figures showing that some 58 per cent of people would whitelist a website if they found it valuable. He said some of the topics Trinity Mirror covers can also be found on ad-free websites, such as the BBC, but readers choose the first over the latter in some instances. “We need to remind people about value exchange, but we also need to be critical about ourselves and what we could improve,” North said.